This long established privately owned Insurance Company Approved, Accident Repair Centre in Huddersfield were recommended to Gemini by another of their clients. The owner wanted a new fully interactive, modern and mobile responsive website to highlight their excellent repair service to the local public and businesses alike. 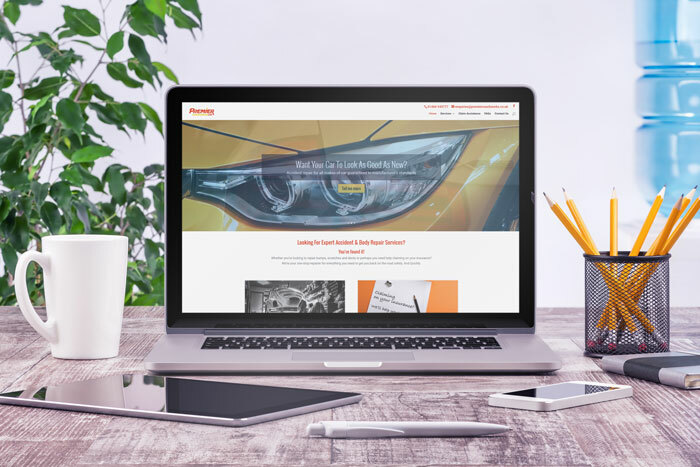 We built this in WordPress complete with an innovative facility enabling their customers to upload photographs of their vehicle damage so they can get a quicker and more accurate estimate. This has proved to be extremely beneficial to both parties. We have recently dealt with Gemini and more specifically Warren, to get our new website built. We found Warren to be friendly and approachable. He came into the office to speak with us about what we wanted from our website and the sort of designs we would like. The project was completed on time and budget and we are delighted with it. He also sorted out our emails which was a painful process made all the easier by his help. Even though the website is now up and running, Warren is always willing to help answer/solve any problems that we may have. We would highly recommend Gemini to anyone.